It looks like the police are up to their old tricks across the pond. 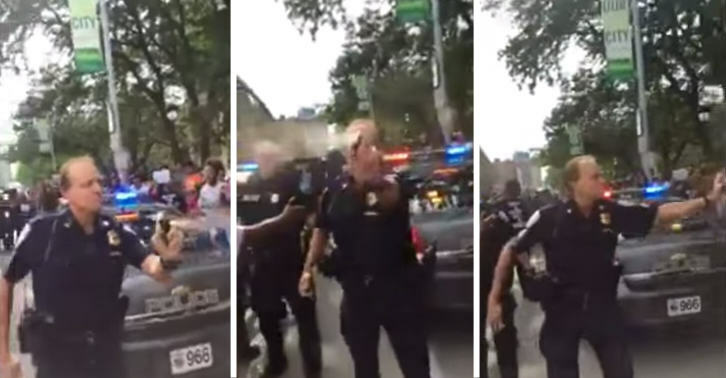 This time a video has emerged of an officer pepper spraying protestors at a Black Lives Matter rally. The video was shot yesterday in Cleveland, ironically at a conference to protest police violence against African Americans. The cop is seen walking towards the crowd, spraying wildly. It amazes me that the police are still doing this kind of stuff, especially when pretty much every incident is now caught on camera for the world to see.